Développement de textile photocatalytique pour des applications en phase aqueuse comme la dégradation des micropolluants, pesticides, traces de médicaments ou autres perturbateurs endocriniens. Financement : ANR Ecotech 2011 (agence-nationale-recherche.fr). Degrave R; Moreau J; Cockx A; Schmitz P; Multiscale analysis and modelling of fluid flow within a photocatalytic textile Chemical Engineering Science, 2015, 130, 264-274. 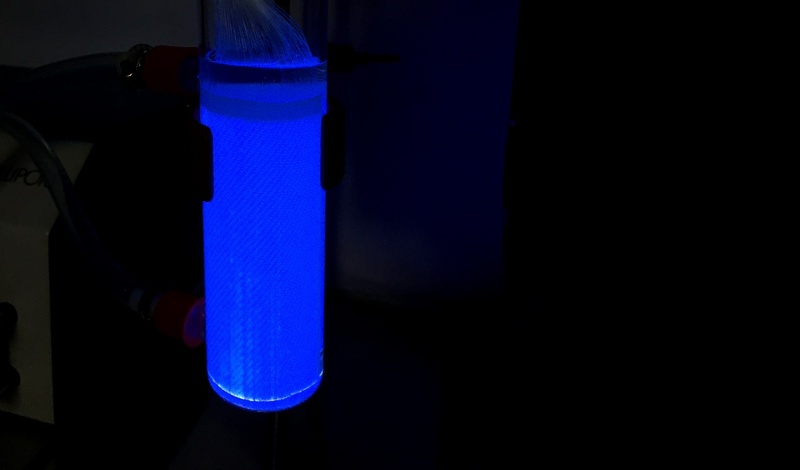 Degrave, R; Cockx A; Schmitz P; Model of reactive transport within a light photocatalytic textile International Journal of Chemical Reactor Engineering, 2015 article on press. Indermühle C; Puzenat E; Simonet F; Peruchon L; Brochier C; Guillard C; Modelling of UV optical ageing of optical fibre fabric coated with TiO2 Applied Catalysis B: Environmental, Volume 182, March 2016, Pages 229-235.